Shooooooooooooooooooooooooooooooooooooooooooooooooooooooooooooooooooooooooooooooooooooot all of the different starships. They all have different attack patterns ect. After so many request i decided to put better graphics on the castle maze 8. Get tower-guns and shooooooot enemy waves that attack you. They gradually get more difficult. Click on the arrows to make the enemies come faster. 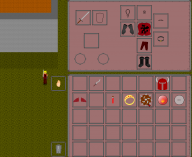 More games will come later and I am making an RPG game. This is more or less a trial run. Just a sample of what you can do in engine001. Maybe this will become a small flash game. 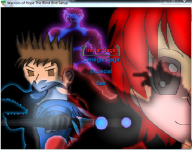 If you want to help me with this project just PM me (HyperGamer) or make a fourm section & name it Maple Story Emulator. Eternos is a fictional world set in a fictional universe, a universe that I have been working on for years. This shall be one of the games in the series (there will be many games in this series).